We are an exciting new company. We specialize in providing innovative products for athletes and unique spirit-wear products for fans to wear in support of their favorite teams and causes. MISSION: We are in the business because we love sports! My son was a high school basketball, football, lacrosse and baseball player. 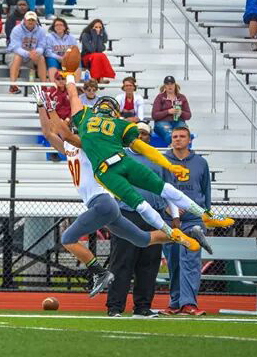 He continued to play college football at Brockport College. Through out his career he LOVED his socks! We supply athletes and passionate fans & supporters with customized, US-made, high quality and unique products. We do so by partnering with Colleges, High Schools, Local Teams and more. It all started out when my son Colby!